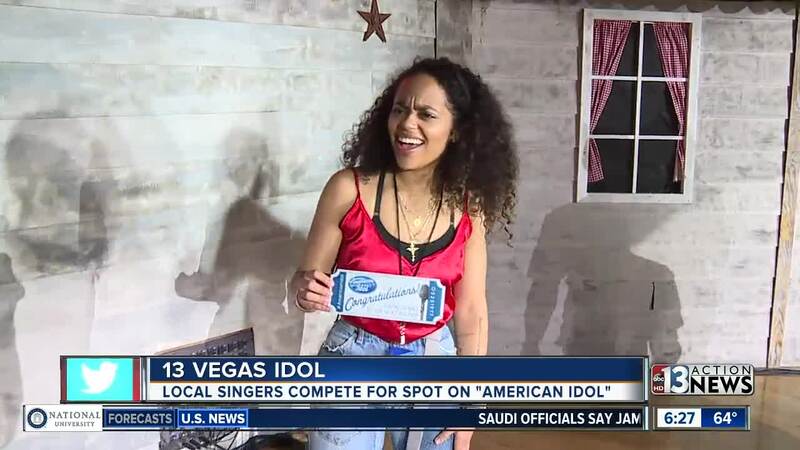 Las Vegas' amazing yet undiscovered singers competed to be our 13 Vegas Idol Saturday afternoon. The winner received a Silver Ticket to compete on American Idol after auditioning in front of Idol producers at Stoney's Rockin' Country. Earlier this month 13 Action News held a contest and asked for video auditions. From those videos, 46 semifinalists were selected with the finalists then performing live on stage. The judges included Jeff Timmons of 98 Degrees, Lorena Peril of Fantasy at the Luxor and Daniel Emmet, America's Got Talent finalist and Las Vegas performer. Contestant Tiffanne LeMay impressed the judges and she took home the Silver Ticket!